I don’t know why I only ordered a metre of this fabric, I never only order a metre, as its rarely enough for what I want to make. But for some reason I ordered a metre. 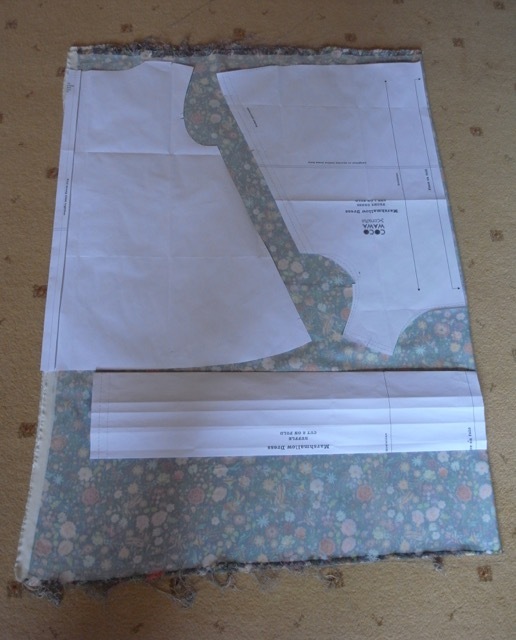 This was October last year, and when I decided I wanted to make a Marshmallow tunic top I tried to order another metre but it was out of stock! I thought that might be the end of that idea. 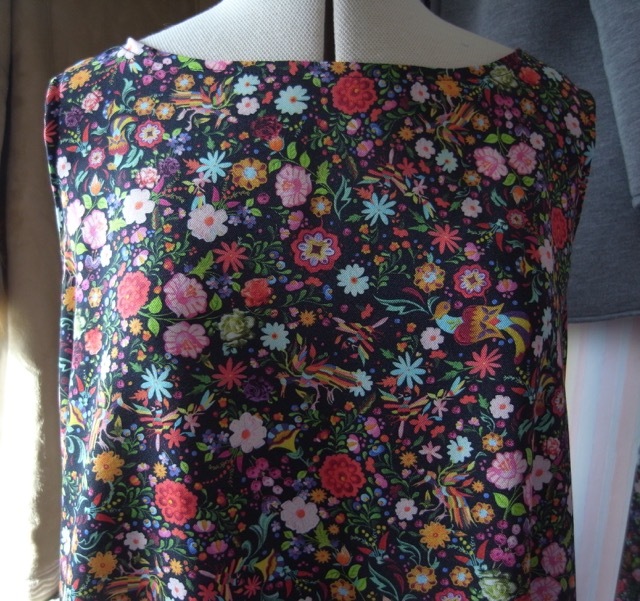 I thought I’d have a look and see what I could get out of it, so I laid the pattern pieces on the fabric and happily I could get a sleeveless version from it. Also had to make the frill piece much smaller, think I ended up folding it in half. 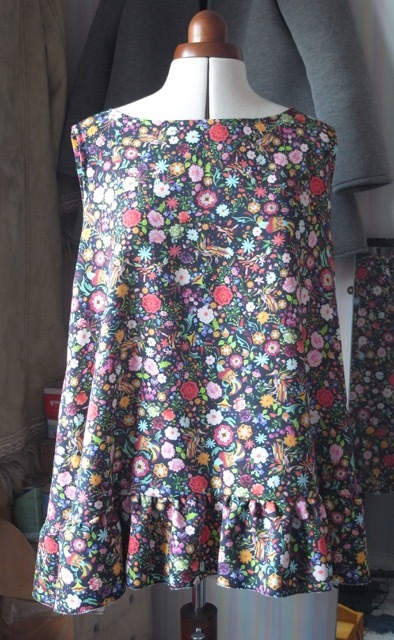 No sleeves, no facing and no pockets. But I love it! This is such a happy, colourful fabric. I love all the details in it, so much going on. And I’m really really happy with the length of this one too. And I remembered to make all the seams with a 2cm seam allowance. Thank you. Yes not my usual style of fabric, very colourful for me.